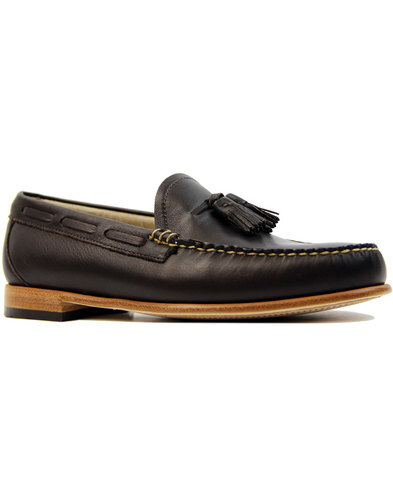 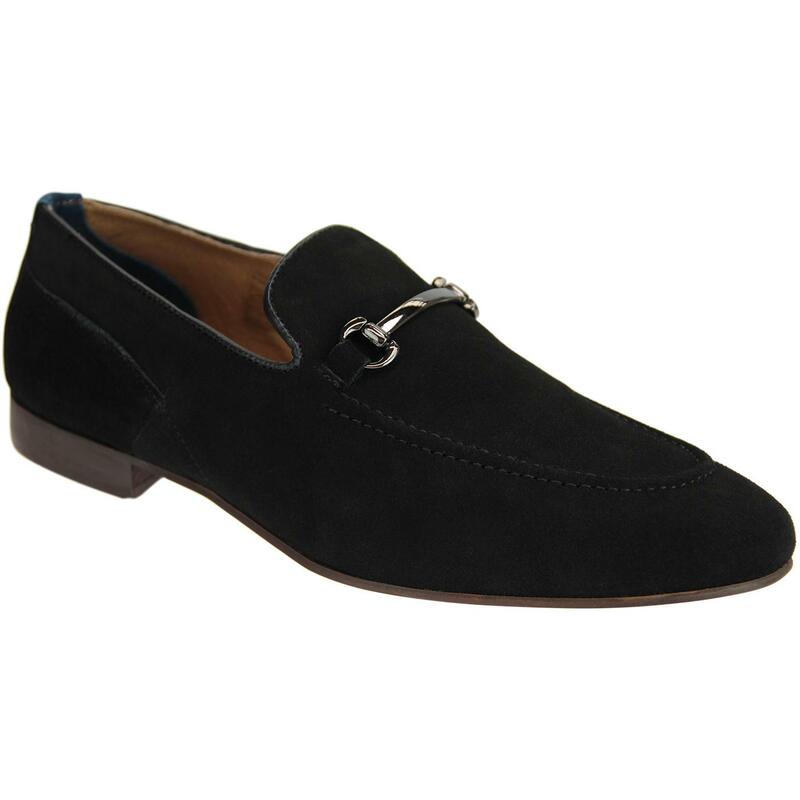 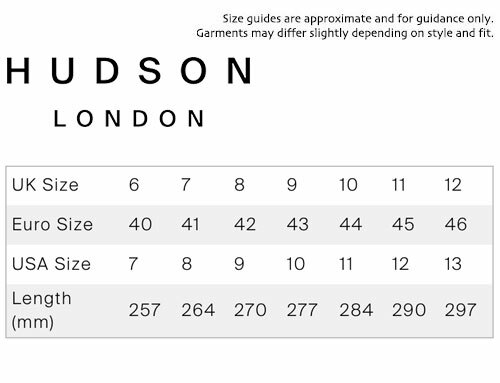 H by Hudson 'Banchory' Retro suede loafers in black. 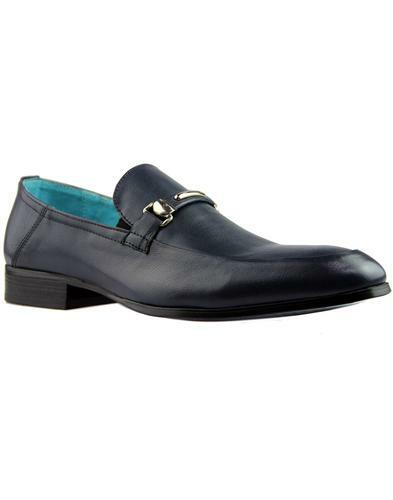 An ellagant take on the classic 60's loafer shoe. 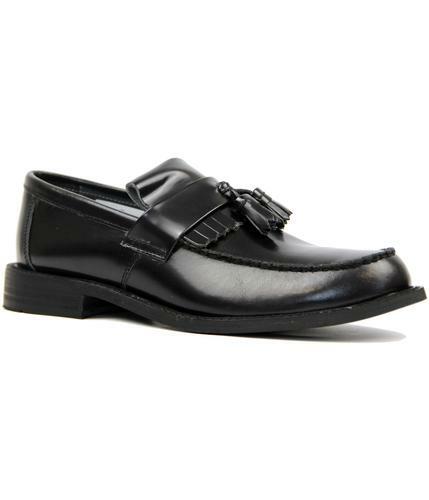 Featuring a stylish pewter bar that adds a sophisticated touch. 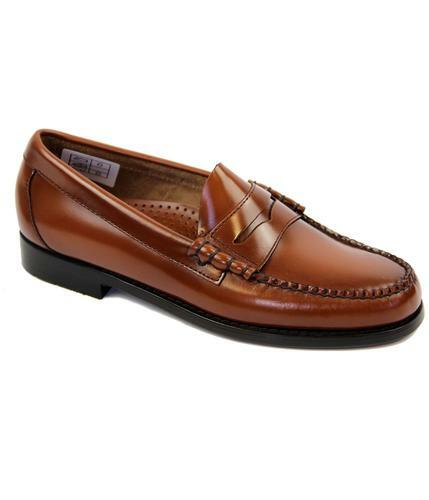 Slimmer than the traditional moccasin loafer these shoes look phenomenal with your best suit or with a casual pear of chinos.